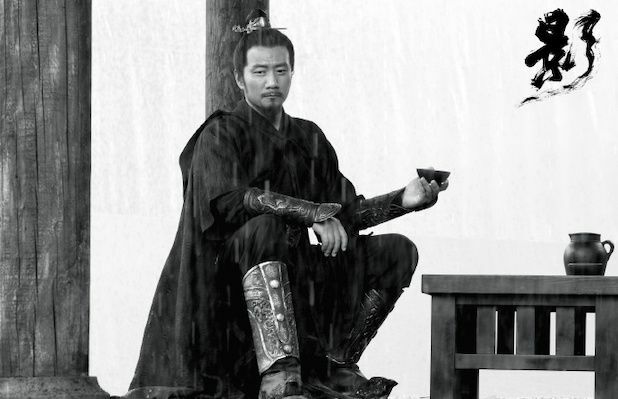 The film begins with the Emperor of Pei (Zheng Kai, The Great Wall) angered to discover that the Commander of his Army, Zi Yu (Deng Chao, The Mermaid), has gone to Jing City to meet with General Yang (Hu Jun, Ever Night), the man who helped take Jing City away from the Kingdom of Pei. He’s even more angered to discover that the Commander has challenged the General to a duel to win back Jing City, an action that basically amounts to declaring war, something the Emperor is desperate to avoid. The Emperor is eager to maintain the peace with their neighbor. To avoid war, he strips Zi Yu of his command and sends a minister over to Jing City to offer up his sister, the Princess (Guan Xiao Tong, Sweet Combat), as a wife for the General’s son, Ping (Leo Wu, Battle Through the Heavens). Of course, to add insult to injury, Ping offers to take the Princess as one of his concubines instead. The members of his military, as well as the Princess, are angry with the Emperor for acquiescing so easily, while the ministers applaud their ruler for keeping the peace. 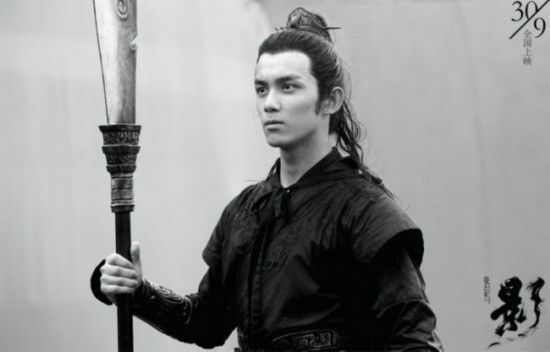 But Zi Yu has other plans and we quickly learn that the person everyone thought was Zi Yu is actually his “shadow”, a look-alike often used as decoys by high ranking officials to help thwart assassination attempts and intrigues. 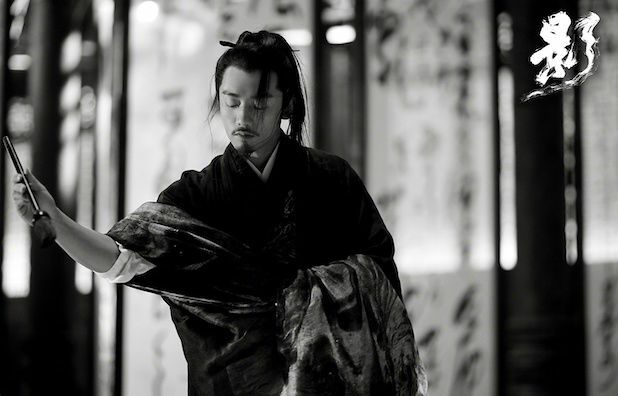 Zi Yu, having been injured by General Yang in a previous battle, is now aged and suffering from an illness, and he’s eager to get revenge via his doppelganger. Zi Yu’s shadow is a man name Jing Zhou (also played by Deng Chao) who, as a young child, was found by Zi Yu’s uncle to act as a double for his nephew. Zi Yu has promised Jing that once he helps complete his plan, he will be free to return to Jing City and find his mother. Jing Zhou, besides missing his mother and feeling trapped in servitude, has also become fond of Zi Yu’s wife, Xiao Ai (played by Deng Chao’s real life wife, Sun Li, Empresses in the Palace). 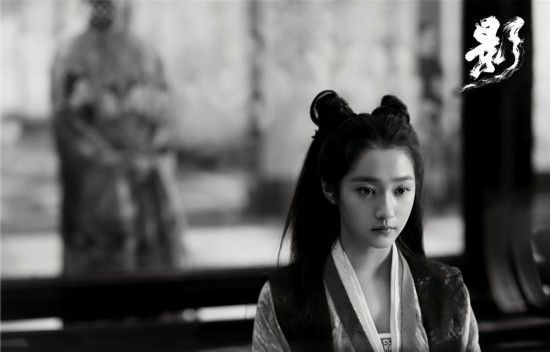 Xiao Ai, the only other person who knows about Jing Zhou, struggles between her love and devotion to her husband as well as her pity for the servant, who is also a much healthier and better looking version of her sick husband. Zi Yu’s plan slowly becomes clear as he reveals his secrets to one of his former generals, Tian Zhan (Wang Qian Yuan, Tribes and Empires: Storm of Prophecy). He has secretly put together an army and devises a plan using umbrellas to help defeat General Yang’s army and win back Jing City. Zi Yu’s plan also includes him becoming the new Emperor and making Tian Zhan his Commander. As Jing Zhou finds himself in a deadly duel with the domineering General Yang, the secret army attacks the city, with the Princess joining them to pay back Ping for insulting her. The story itself slowly builds up the tension as you begin to learn more about the four main characters, with some twists and turns eventually coming at the end, some more expected than others. And I like that they are able to introduce the political intrigue of the story without making it overly complicated so that it was easy to follow along. Usually with actors like Guan Xiao Tong and Leo Wu on the cast, I’d expect some kind of secondary plot, but instead the story is well written with the secondary characters helping move the main plot along without complicating the story. 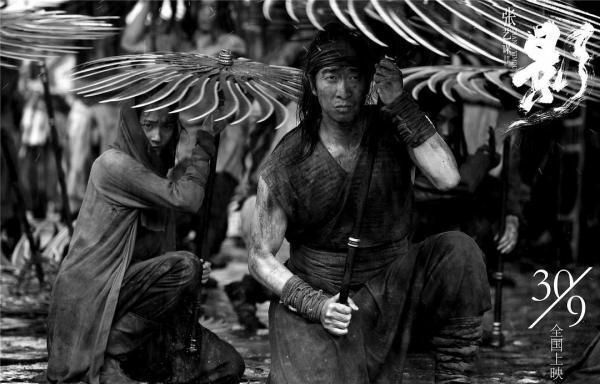 The fight scenes are also creative as they take an innocuous item, an umbrella, and turn it into a deadly weapon. This film has been a hit at film festivals and, since it’s officially on YouTube with subtitles, this is a good opportunity to see it, especially if you aren’t in an area that has Chinese movies in your local movie theatre. This entry was posted in Reviews and tagged Betty Sun Li, Deng Chao, Guan Xiao Tong (Traey Miley), Hu Jun, Leo Wu Lei, Shadow, Wang Qian Yuan, Zheng Kai by Enid Bee. Bookmark the permalink. Thanks. Didn’t know the movie itself is already available. I only saw behind-the-scenes or the-making-off stuff on Youku and Tencent. Watched it on Youku as its paid member. US is not blocked. 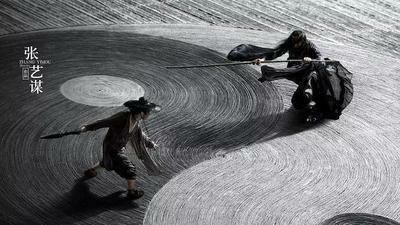 Movie was adapted from a novel based on the Three Kingdoms. Resettling the story in a completely fictional world avoided more strict censor scrutiny. Sticking with history, Commander died young from a serious illness. The kingdom he served eventually took back that lost territory and continued to be stable and prosperous for many years. 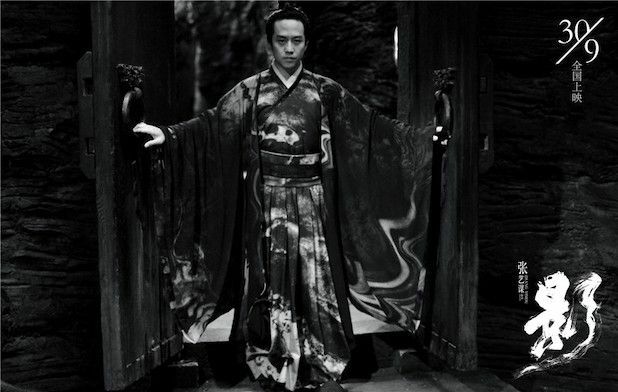 The movie went with secret power plays and schemes between the king and Commander. It’s hard to tell whether Shadow had required skills and mental capability to take over and accomplish what Commander plotted. Thus, the abrupt ending didn’t bother me much. Artsy stuff tend to make little impression on me. Ink blots/stains on the costumes bugged me a lot. I wanted to send them to the cleaners. Story was ok. Pacing wasn’t too bad. My mind only wandered a few times. Guan Xiao Tong and Leo Wu felt a bit stiff in some scenes. To me, GXT seems to struggle with expressing strong negative emotions. Kind of surprised that I thought Leo Wu needed to work on his line delivery. I felt detached from the story and characters. I am neutral about this movie. A lot of ppl don’t like Guan Xiao Tong, and I’m mostly ambivalent towards her. But from this and from what I’ve seen of her before, I think she really suits supporting roles. She tends not to overact and also just has better characters in general when she’s supporting. Idk, is it just me? 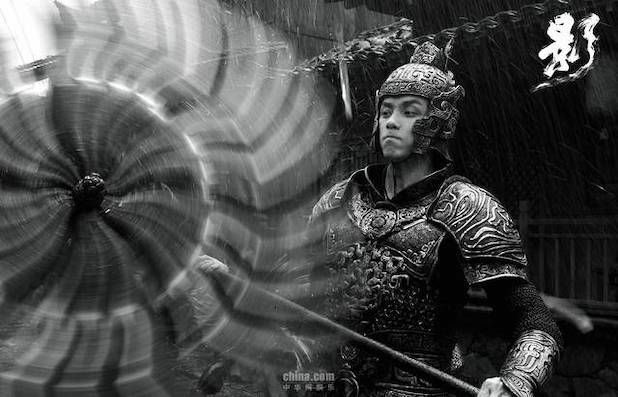 I actually liked the “battle scene” (in quotes, bc honestly, if it wasn’t for movie purposes bc Deng Chao’s the main dude, in what world do they have any chance of beating the clearly well-disciplined, sane Yang family???) the most and I actually quite liked GXT and Wu Lei’s scenes there. I also thought that the few emotions the king showed towards his sister, whether it was that bit of guilt and fond exasperation in his looks, was the only thing really saving the king from being so removed from reality that he would be hard to relate to at all. And then here we get to the crux…I honestly didn’t really like either Zi Yu or his shadow. I think they were interesting, and I get that they’re hinting at a lot of subtleties, but again…both the characters are just so far removed from “understandable” that I just couldn’t connect with his emotions or motivations, either of them…even if I logically understood what Zhang Yi Mou was trying to get at. In conclusion, the Yang family were the only sane ones, and honestly I felt for Hu Jun when he realize Yang Ping was dead…was rooting for you guys! Final conclusion, visually stunning and amazing concept…very well-put together and SO much ART in this movie. BUT I didn’t enjoy it at all, and frankly I can only accept it as a vaguely puzzling art piece bc the plot and actual substance imo wasn’t really for me. Not saying the actors didn’t do really well with what they’re given. I just feel like Zhang Yi Mou tried so hard to create that hazy-dreamlike-questioning-reality-fantasy feeling that it actually ended up being so far from grounded I couldn’t emotionally root for any of them except the vaguely normal Yang family who basically represented me like “what’s freaking wrong with this kingdom, kinda want out of here” …and then ended up getting brutally murdered and b****-slapped by the movie. There were a lot of things I liked about the themes and composition of the movie though, so kudos I guess. A follow-up. I know there’s a LOT of argument to be made that this could be interpreted SO deeply. I didn’t say it wasn’t a “classic” piece in it’s own way. Most “artistic” productions have a lot of meaning to be analyzed from them, but tbh doesn’t mean I enjoyed it…I think there’s a balance to be found between art/meaning/message and hitting home with the audience emotionally (personally I think Les Intouchables would prob be my fav that manages that balance really well for me…even aside from the humor as an entertaining aspect) — and I mean this for like, movies of all countries; there are plenty of “classic”/artistic hollywood movies that I find just as…detached from. And btw I literally read the review 🙂 and right away clicked to watch (admittedly it was moving a little TOO slow at parts so I may have ff’ed a tad at placed). Honestly I think my opinion will be a rare one, bc most of the comments on youtube is praising the movie for being so deep and emotional it brought them physical pain…idk to each their own I guess. I honestly didn’t like this movie at all. I tried it for the actors. I was hooked by the colour palette, costuming and settings but the story itself wasn’t very intriguing. I enjoyed the mystery behind the shadow and his master but I don’t know what I was supposed to feel. The action and training scenes were quite okay but generic like any other movie. Is there like a hidden message? Who am I supposed to feel sorry for? the shadow? the Princess? the Commander? the Wife? or the enemies? They produced the movie in a way to make it look like it is a dark plot but the whole thing seemed kinda dumb to me. Everybody was insane, many things seemed too abrupt, the pacing was either too slow or too fast at some point. AND! The ending, damn that was horrible I mean it just ended like that. I don’t even understand what was going on anymore. I don’t like open ended stuff cause I’m too dumb to figure stuff out lol. Plus, what’s with the wife? Her heart waver’s very quickly maybe because the shadow is much more alluring and pitiful than her husband. She’s either goddamn confident or she finds herself lost. I know the overall thing this movie tried to show was that shadows were used as their master’s scapegoat but it didn’t seem really convincing with this one. In the end, some things worked out with it’s pros and cons but were shadows really that useful? Will the kingdom of Pei become stabilised in both court and its people? Thanks for the review! Unfortunately the movie has been removed on YT so I guess I will have to wait until it hits my local theater next year. just checked Zhang Yimou’s filmography…annnnd nope, didn’t find one film i actually liked. not Hero, not HOFD, not COGF, basically none of his blockbusters. great cinematic style, but overall, his movies are more style over substance. hard pass. omg style over substance –> mood. too true.